Here in Massachusetts we get a February vacation. There's a lot of theories on how this came about, but no one really knows for sure. 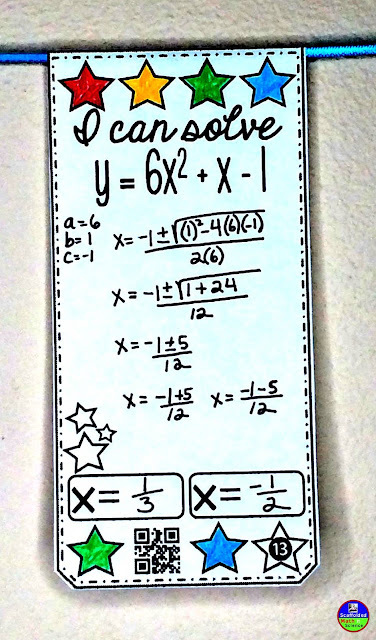 In any case, right before we left for vacation, we finished up our mini-unit on the Quadratic Formula. I always emphasize writing down a, b and c because of how it cuts down on errors. 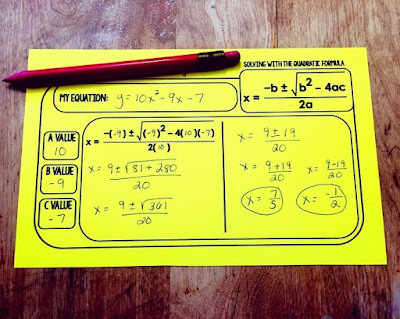 The structure of the formula can give my students trouble, so the "skeleton" formula on this Quadratic Formula template has been helpful, especially in the first days of learning the formula. Warm up templates have been game changers in my classes! They give my students the repetition they need to be independent and also free up so much of my planning time. I just print a stack and go! 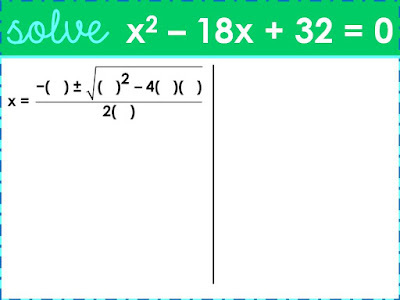 That slide above is part of the Powerpoint I shine on the smart board that goes along with the Quadratic Formula template. 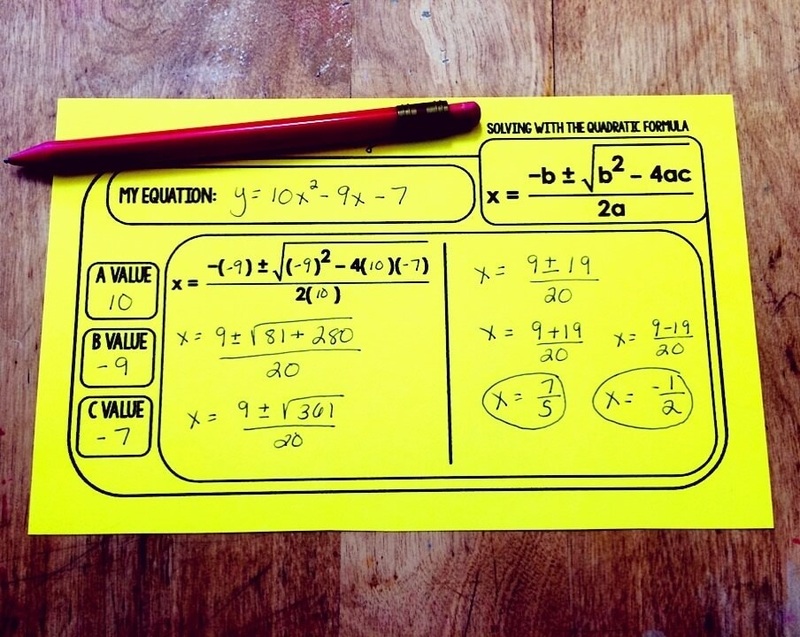 Students transfer the equation onto their template and solve on their own. 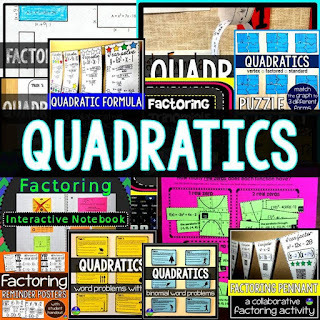 I wrote more about the quadratic activities we do in class in the post Fun with Quadratics. 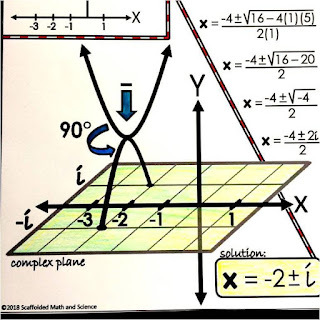 I also made a complex zeros cheat sheet that shows complex solutions graphically. Here is a closeup of the visual. 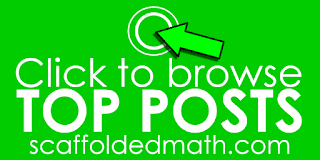 You can find the free Quadratic Formula template here.